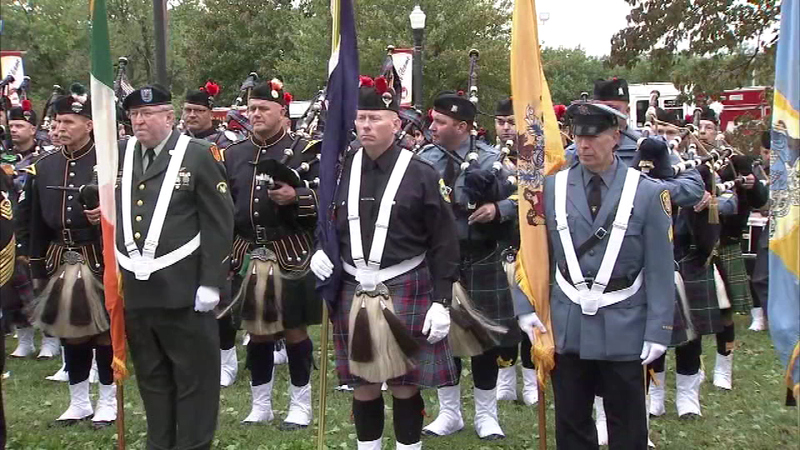 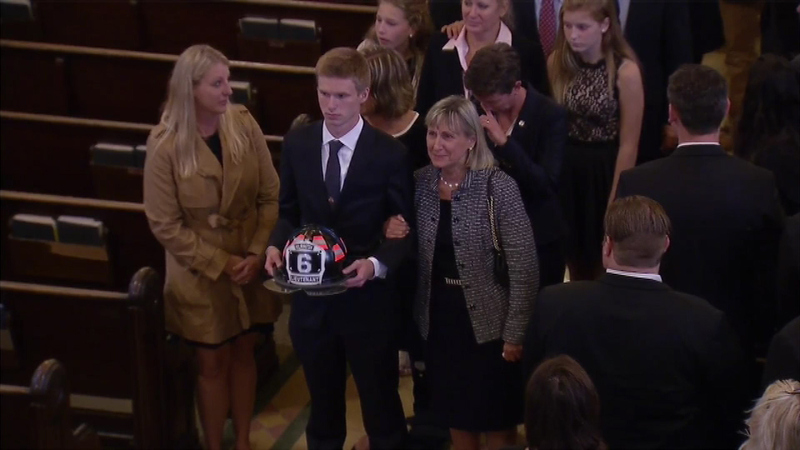 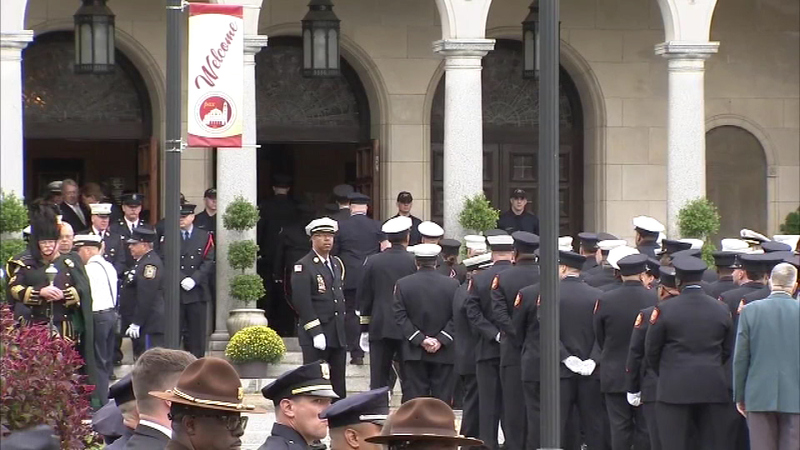 The funeral for Lieutenant Christopher Leach, one of the firefighters killed battling a house fire in Wilmington, Delaware, was held on Friday, September 30. 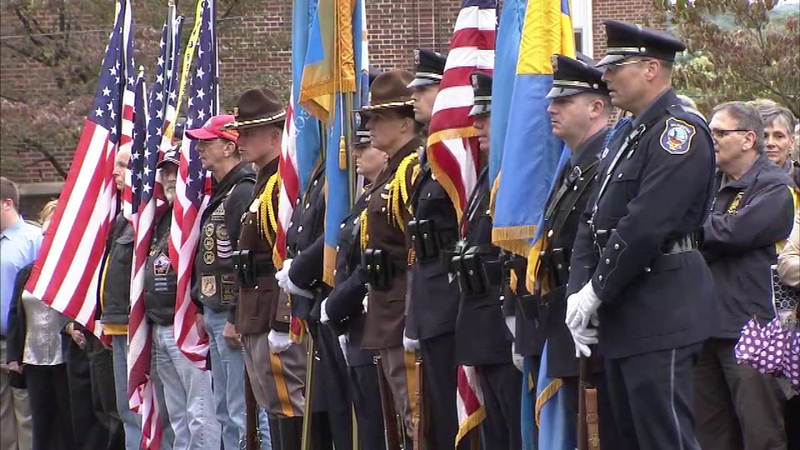 WILMINGTON, Del. 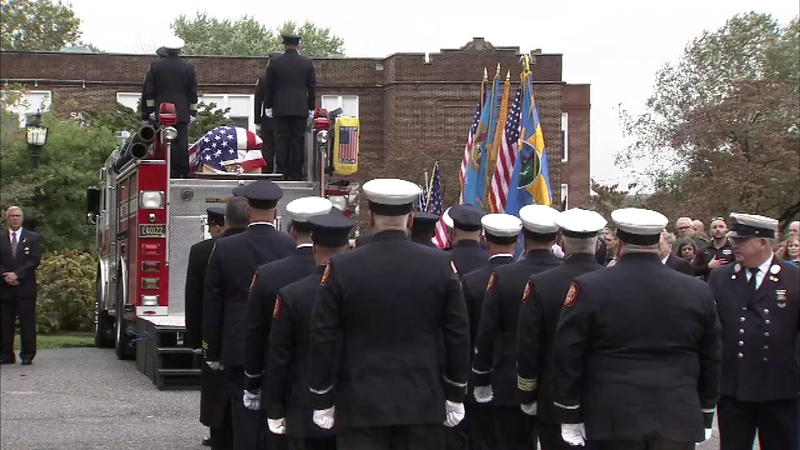 (WPVI) -- A funeral was held in Wilmington, Delaware, on Friday to say goodbye to one of the firefighters killed in a weekend blaze that investigators say was an act of arson. 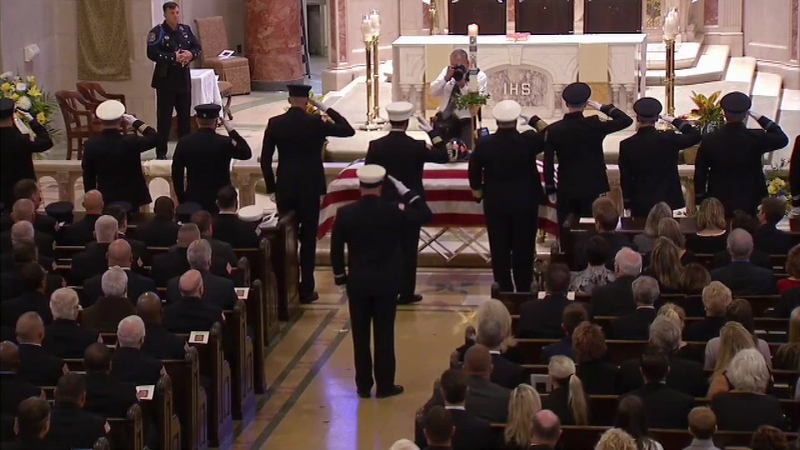 A funeral mass for Capt. 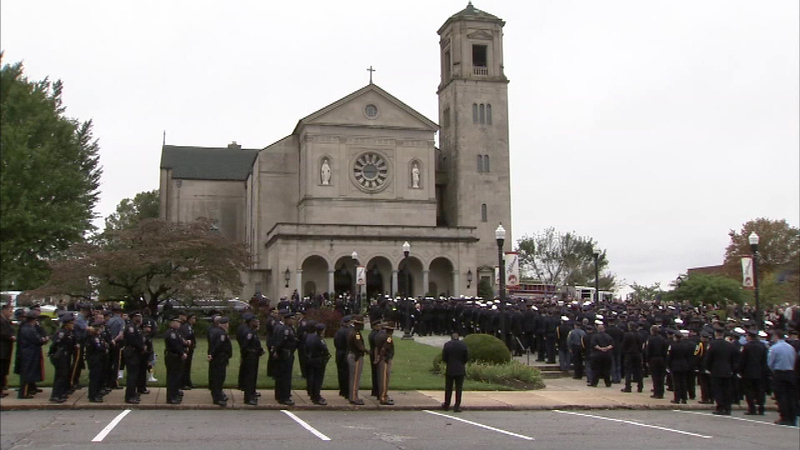 Christopher Leach got underway at noon at St. Elizabeth's Catholic Church. 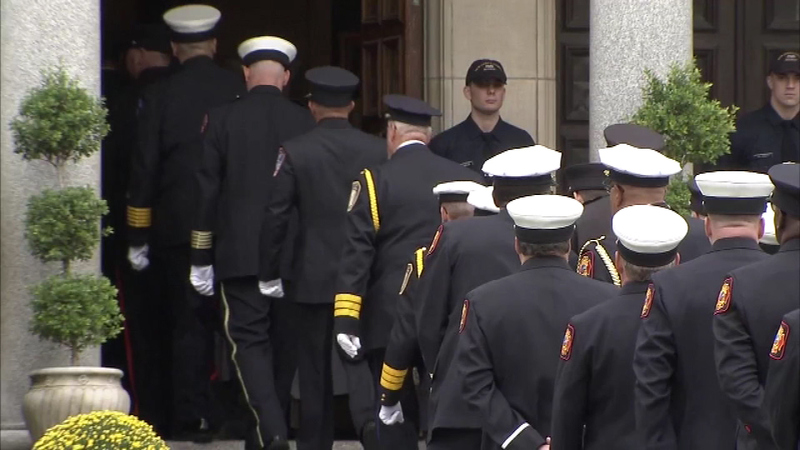 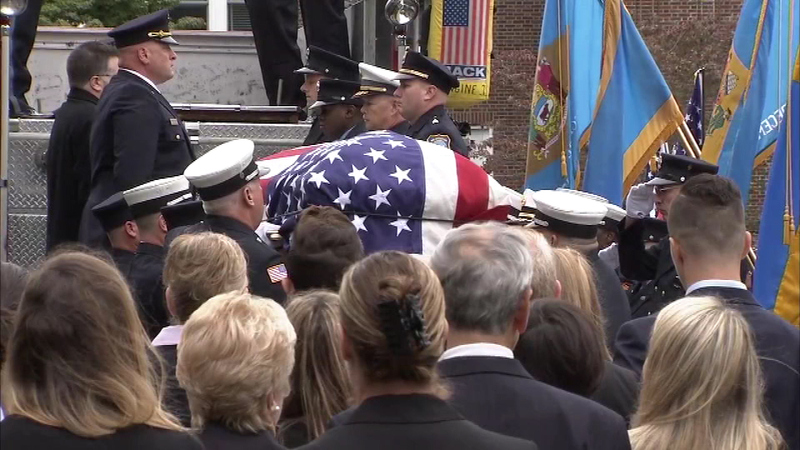 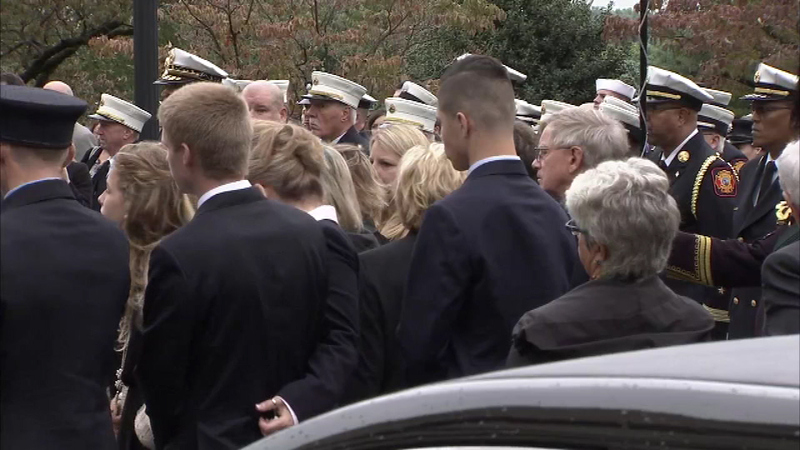 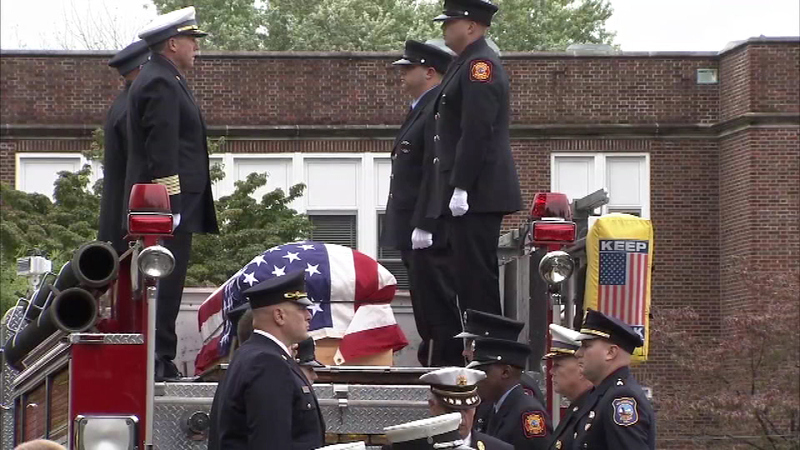 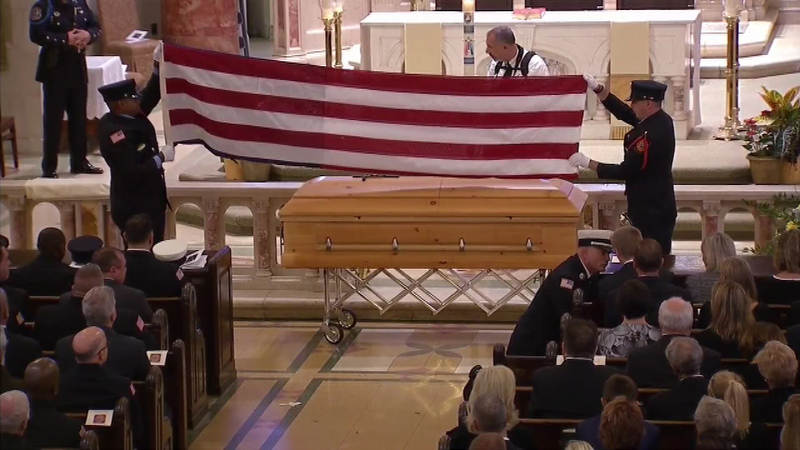 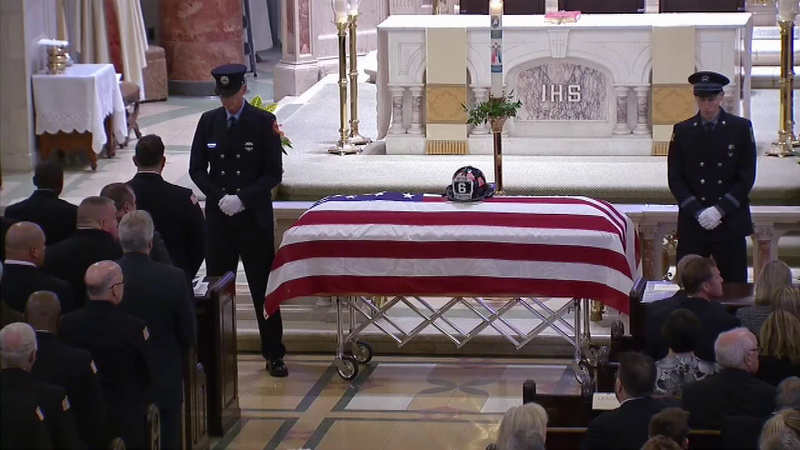 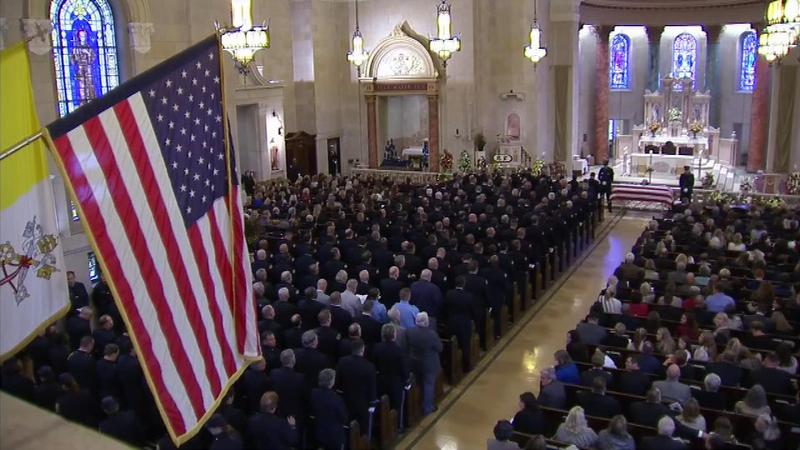 A funeral was held in Wilmington, Delaware, on Friday to say goodbye to one of the firefighters killed in a weekend blaze that investigators say was an act of arson. 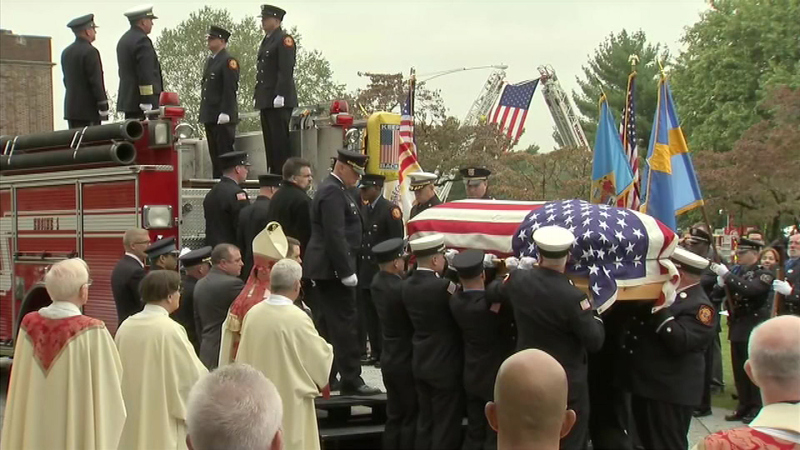 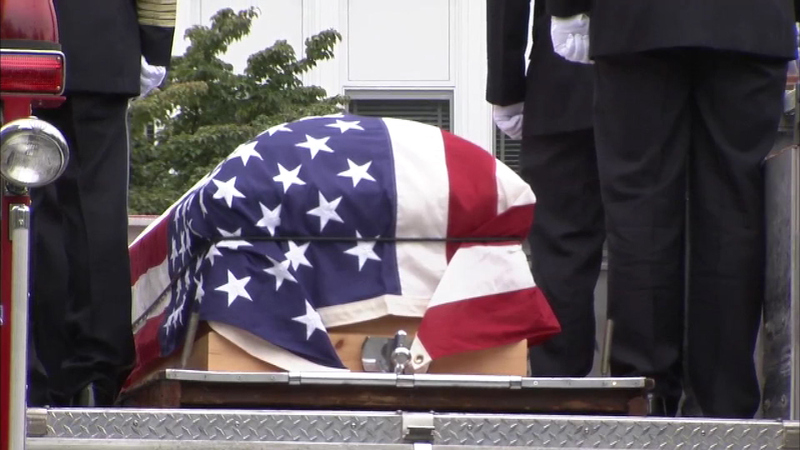 Leach's body was brought to St. Elizabeth's in a flag-draped coffin carried on the back of a fire truck. 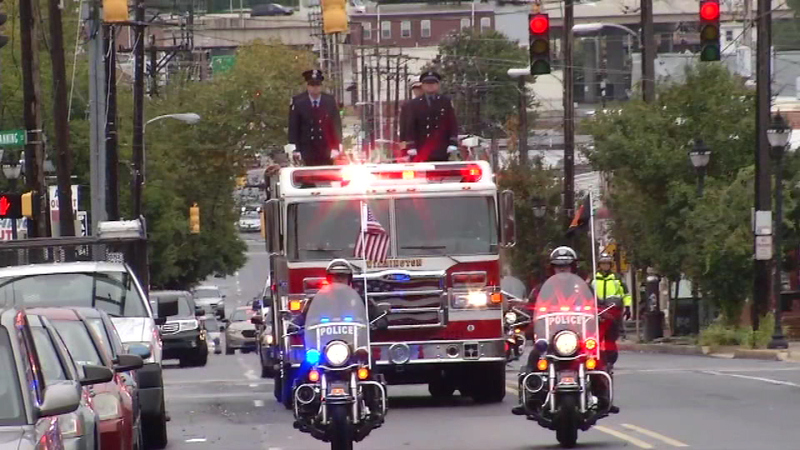 It was part of long procession of first responders who made their way to the church Friday morning. 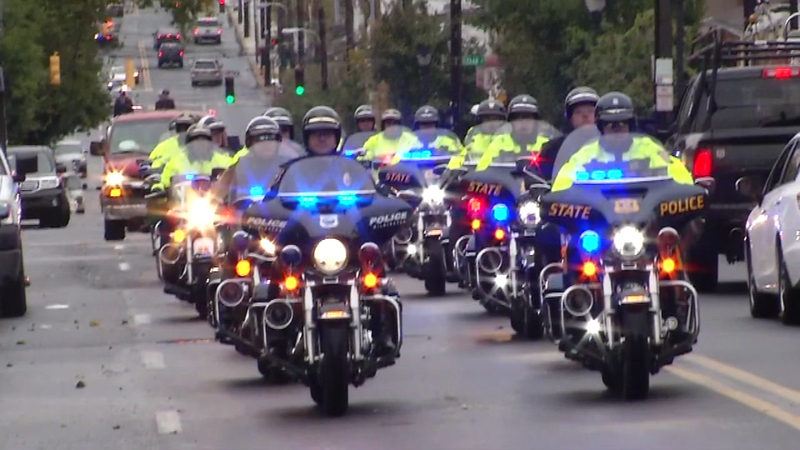 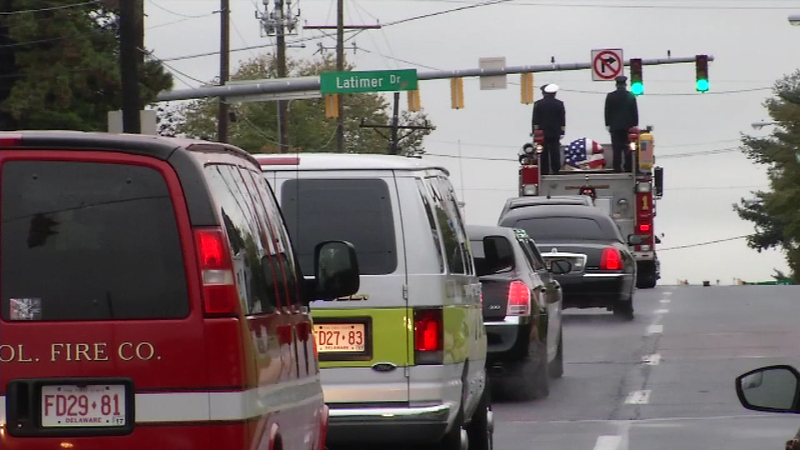 Funeral procession for Lt. Christopher Leach of the Wilmington Fire Department. 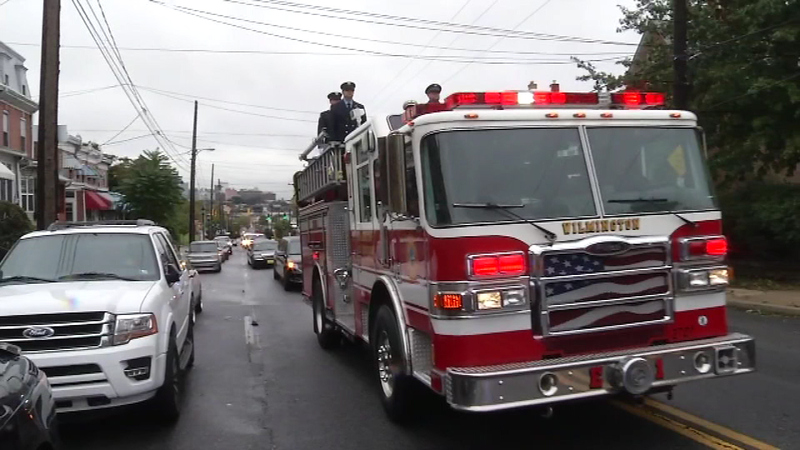 Bagpipes could be heard as mourners waited under a cloudy sky. 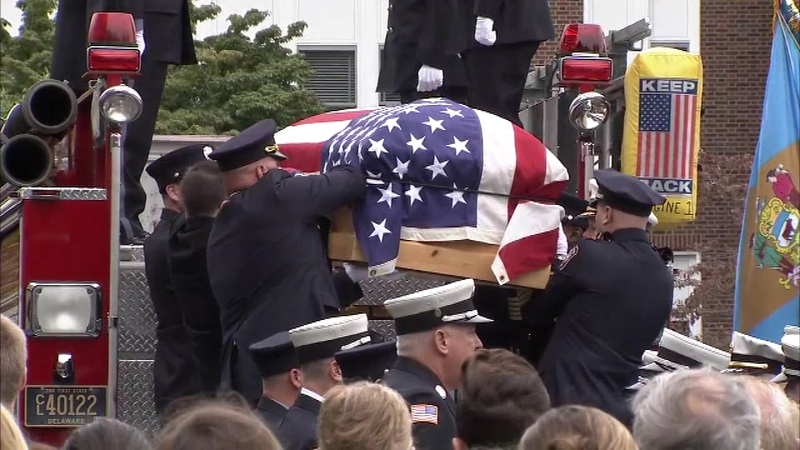 "I think just by the turnout here in Wilmington that you're seeing that he was a respected and honored man and he died doing what he loved to do," said Kurt Hoffstein of Wilmington. 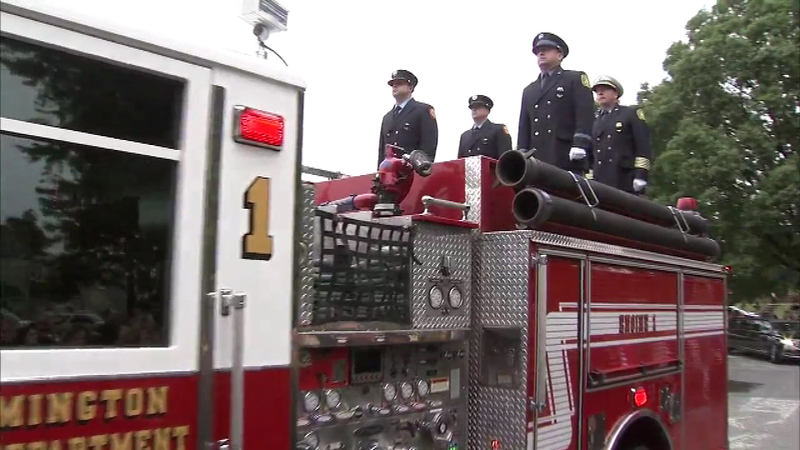 "We don't care, day or night, what time of year, cold or hot, we go in and do our job. 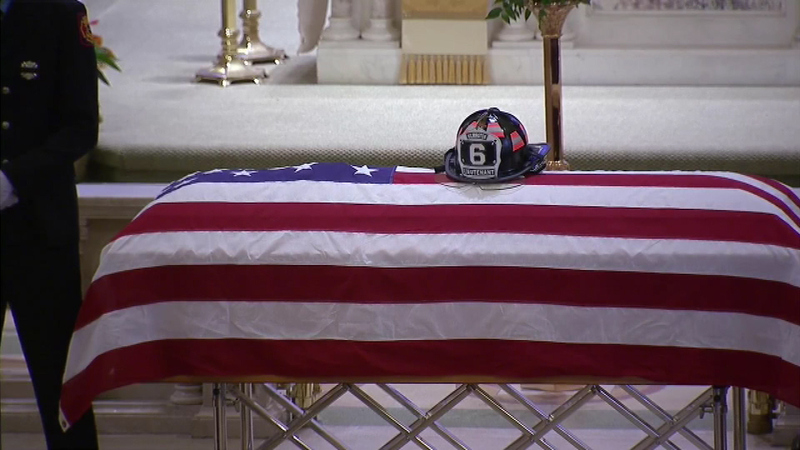 We're firefighters, that's our job. 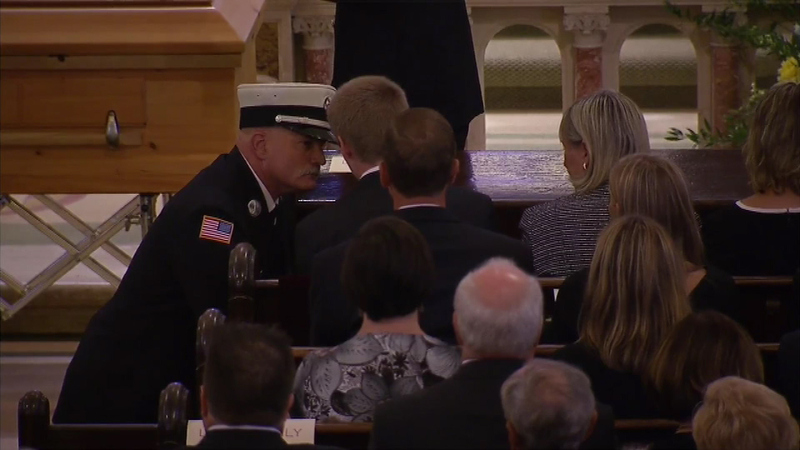 We don't look at the circumstances of what is going to happen after the fire. 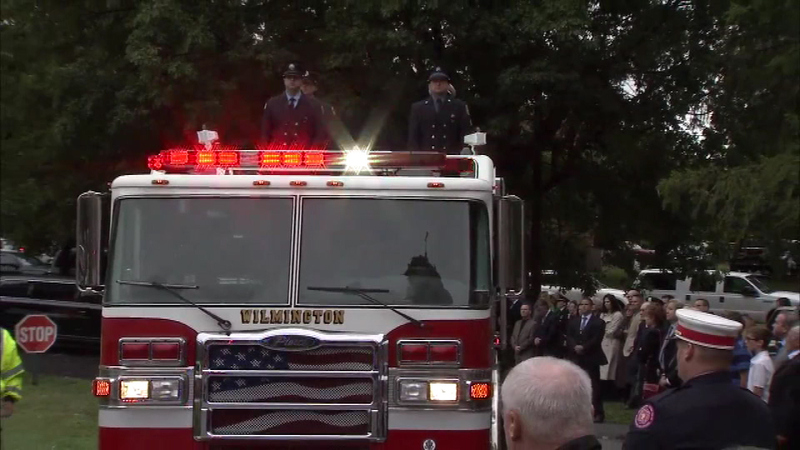 We're there to do a job and put that fire out," said Timothy Taggert of the Wilmington Fire Department. 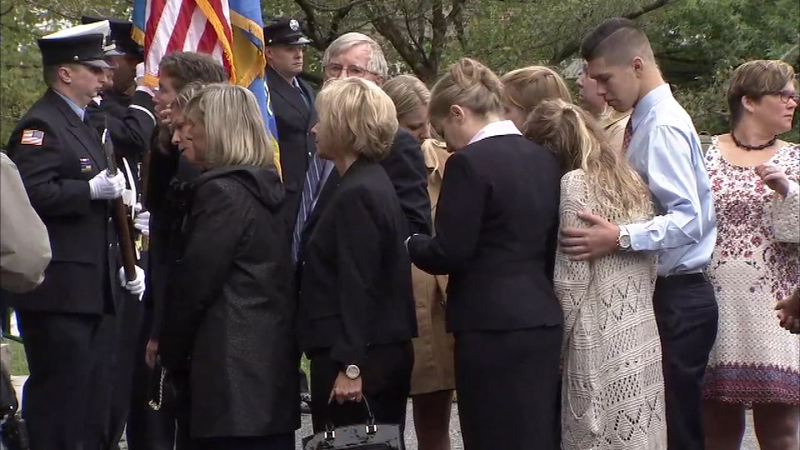 It was an emotional Mass at Leach's parish. 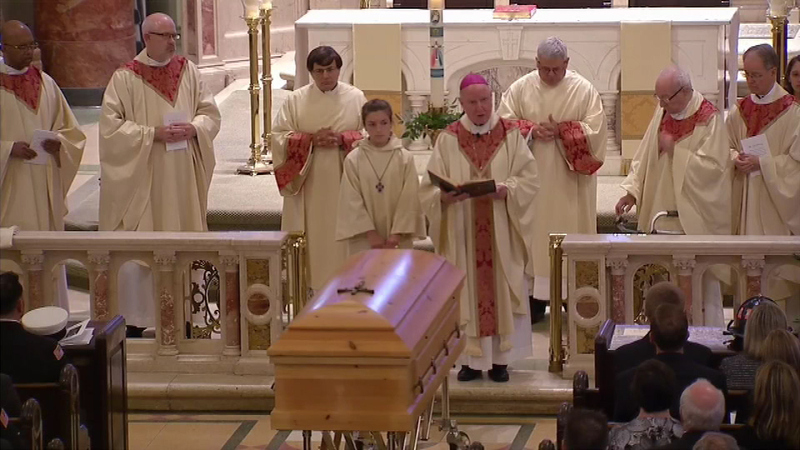 "We are reminded in Ecclesiastes that there are times for everything, and we cannot know God's plan completely," said Bishop W. Francis Malooly. 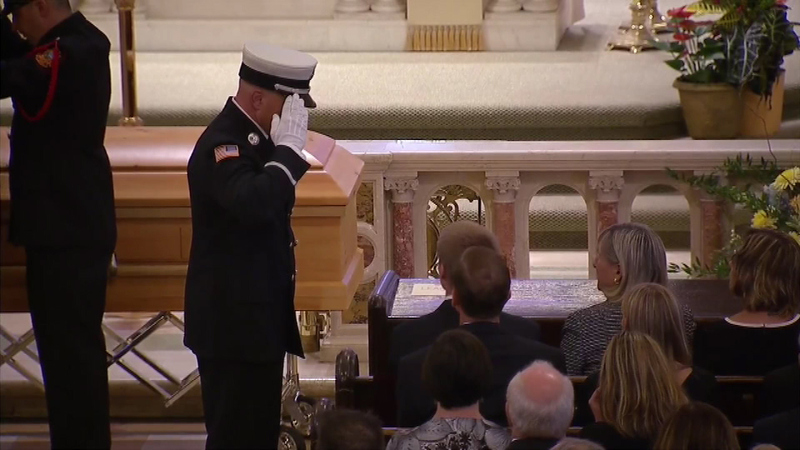 "Certainly, in this place, we don't know what God's plan is." 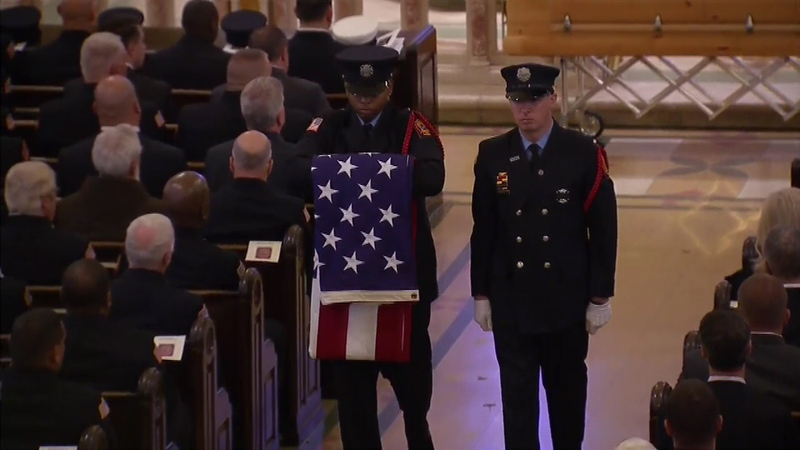 Fellow firefighters carried the casket of Lt. Christopher Leach into the church ahead of Friday's funeral mass. 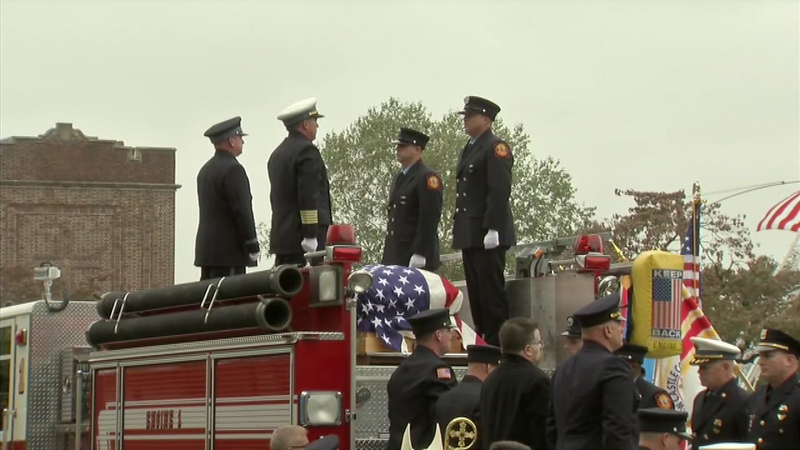 The farewell for Capt. 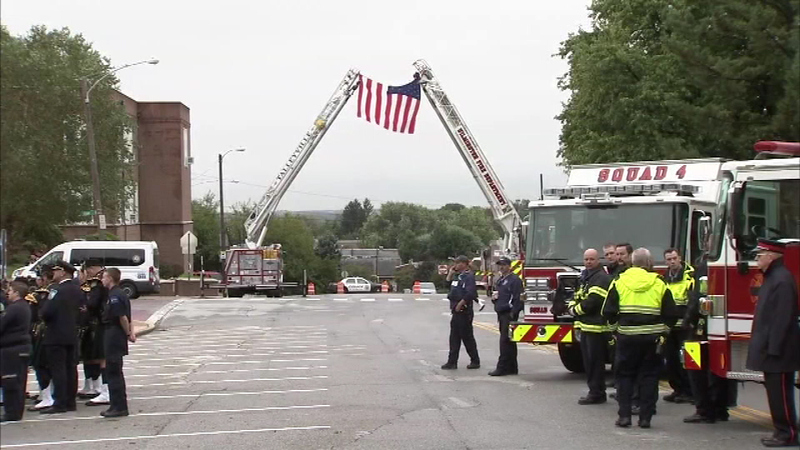 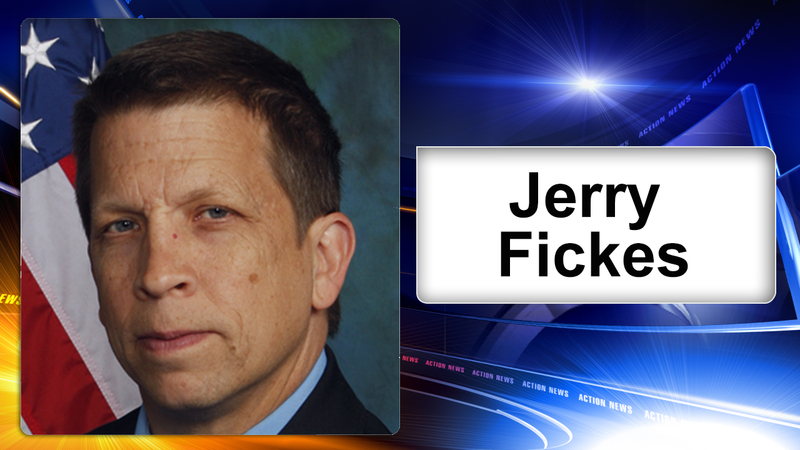 Leach followed a viewing for Lt. Jerry Fickes on Thursday evening, who also perished in the rowhouse blaze on the morning of Saturday, Sept. 24. 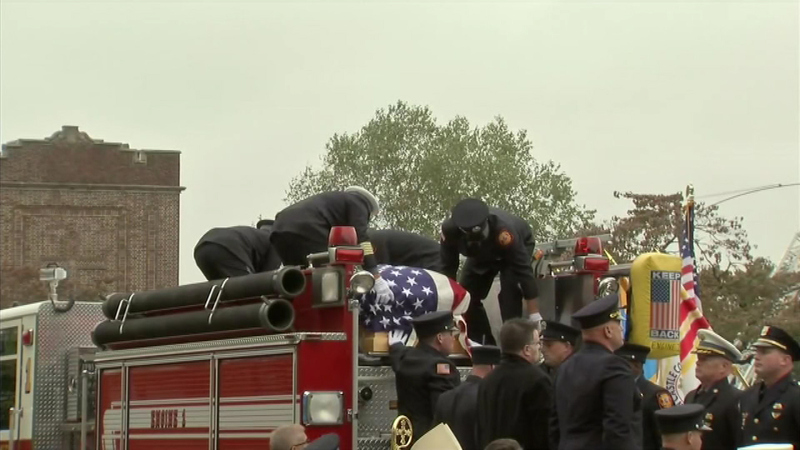 Ranks of somber first responders came to pay their respects Thursday to the family of Senior Firefighter Jerry Fickes, who was remembered as someone who served others in many ways. 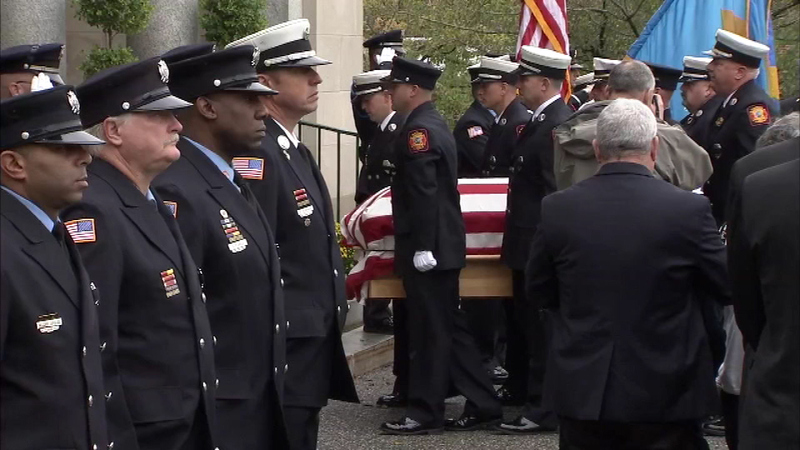 Earlier Thursday, investigators said the fire was intentionally set. 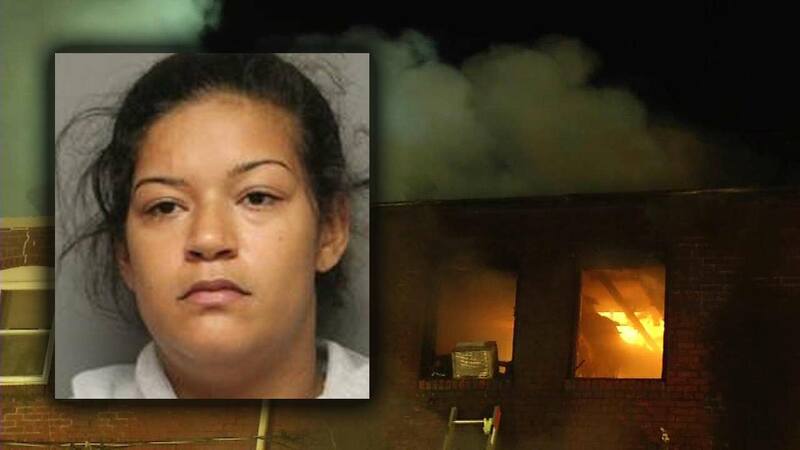 Charged is 27-year-old Beatriz Fana-Ruiz, a resident of the house who allegedly confessed she started the fire in anger and then fled. 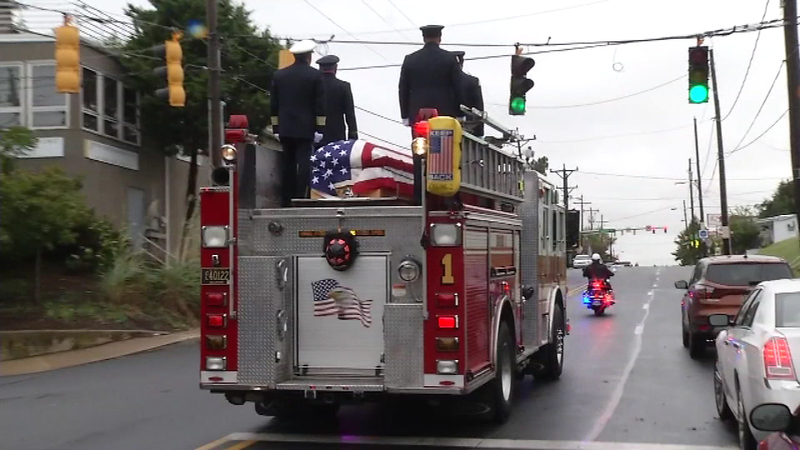 A resident has been charged with murder and arson following the house fire that took the lives of two Wilmington firefighters. 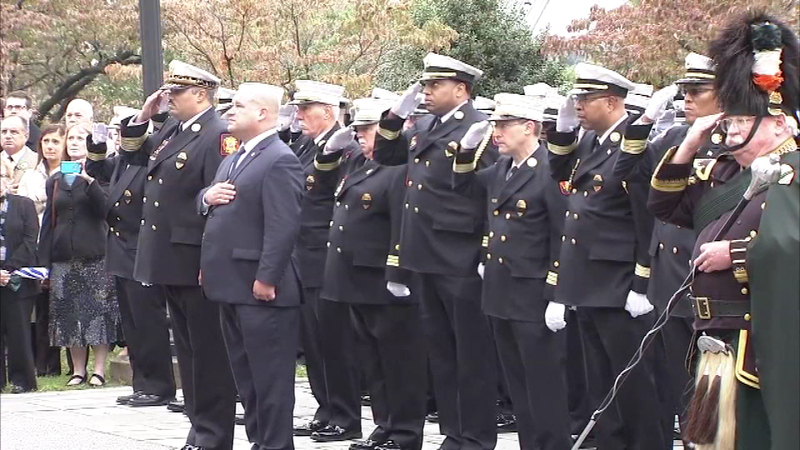 Firefighters arrived on the scene early Saturday morning and had received reports that people were trapped. 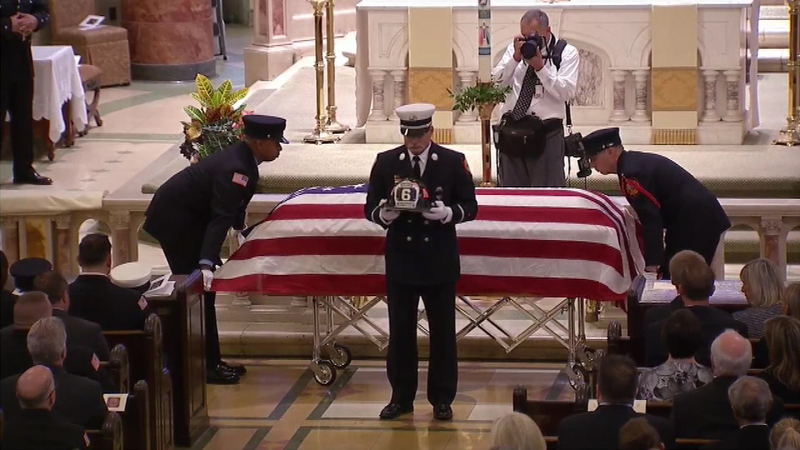 They rushed in and the floor beneath them collapsed.